Magdalen College, Oxford presumably in the hope of notoriety, commissioned the former Beatle to turn his attention to "the classical end of things" for the inaugaration of a new concert hall. It took him eight years, but it sounds like the work of eight minutes. 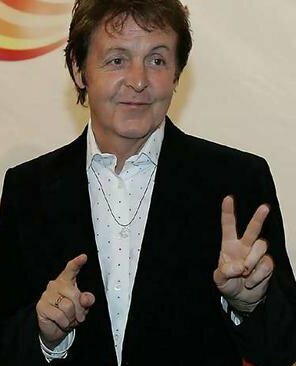 Melodically the cantata is banal to the point of embarrassment, while the macaronic text, which McCartney assures us tells us what really is in his heart is depressingly feeble. How the time drags. I could have washed up or emptied the bin - next! Rick Jones tells it like it is in his Times review of Paul McCartney's Ecce Cor Meum. I don't think the melodies of Ecce Cor Meum are embarassing, and, anyway, most of the reviews I read about it were positive.